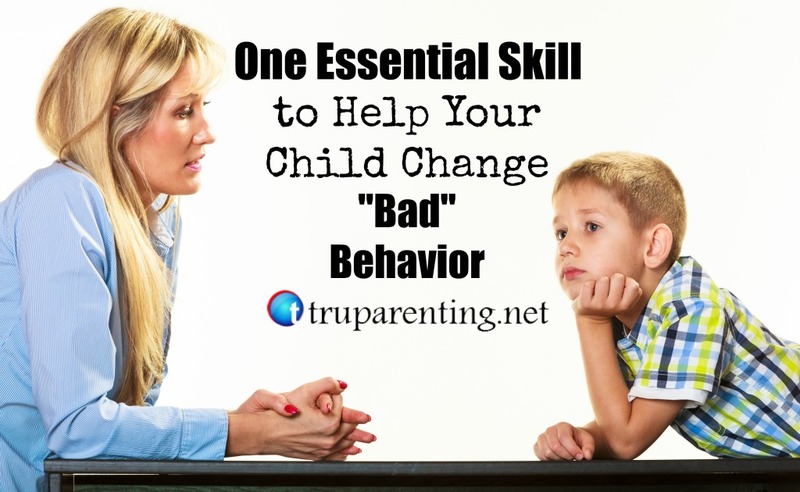 One Essential Skill to Help Your Child Change “Bad” Behavior. Have you ever asked this question after your child has done something that seemed to be firmly outside the realm of logic and common sense? If you haven’t said it out loud, chances are you have at least thought it. Truth is that when we state “what was he thinking” in the context of our children’s “inconvenient” behaviors, the real meaning of this question is not an inquiry at all but rather an accusation that we feel they were not actually thinking at all. We assign assumptions about their intentions and try to make them “think about what they have done.” When our kid’s behavior really bothers us we often times find ourselves trying to force change upon them only to get push back. Since we don’t know what they were thinking or make inaccurate assumptions our “discipline” backfires. Rather than changing in a positive way we find the very behavior we were seeking to change spirals downward and worsens. It’s important to remember that what we initially see a “bad” behavior is just our kids way of reaching out for help or simply not knowing what to do. We can change this perception of “bad behavior” and genuinely help them learn and grow when we seek to understand the behavior and our child’s needs and then acting accordingly. So, how do we help our kids to change behaviors that are not appropriate? How can we help them to want to change and to actually make the positive changes they need? 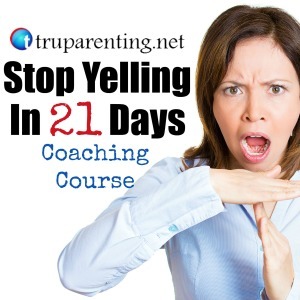 Learn effective ways to calm yourself and have less stress and frustration and more joy and cooperation by registering to for the “Stop Yelling in 21 Days Coaching Course” by clicking here. Next Session Begins soon! When I started out as a therapist I often tried to “fix” things. I thought, “People are coming to see me to meet goals and make progress so let’s get the show on the road and make some things happen!” Week after week I would give homework assignments and week after week clients would return and report that they hadn’t done their homework. Parents and children alike would reluctantly accept their assignments and halfheartedly state that nothing was changing. Self righteously I would think, “If you would actually do the things we talked about, things would change but I was seriously missing something. Almost by accident I stumbled upon the main reason the mothers, the fathers, the kids and families were not making the progress they genuinely wanted. The reason was that most people want to be understood more than they want to change. When they truly feel understood they naturally start to change. They asked for suggestions, techniques and practices to help them and then they collaborated and absorbed these collaborative insights we identified together. Most importantly, they started to apply new skills and their lives began to change for the better! So, What Does This Have To Do With Your Parenting? It may be helpful to take a step back and think about what some of those behaviors are that you have been huffing the phrase, “What was he thinking?” Identify some of the things your kids do that just drive you nuts, the ones that you are so desperately trying to change. Then ask yourself, “Do I really understand and does my child know that I understand?” The following 5 principles can dramatically improve our genuine empathy and understanding in any situation and ultimately lead to greater positive change. Be quiet and listen. I know it’s hard but simply talk less. Try to honestly listen. See their side of things from their perspective. Create an argument from their perspective in your head. Remember what it’s like to be little. Ask more questions than you give orders. Again, talk less. Ask questions that are hard to hear the honest answers to and be ready to just listen without immediate judgment. Restate and make sure what you think you understand is actually accurate. Sometimes we think we get it when we really don’t. The only way to be sure that we understand and to let them know we understand is to ask if our interpretation is accurate. Validate how they must feel. You don’t have to tell them their actions were right but we can let them know that we’ve been angry like that before too or that you understand how they could be sad about something. When we do these things we will actually know what our kids were thinking and our kids will appreciate that you understand what they were thinking. Understanding leads to incredible connection and trust. That trust will open opportunities for teaching during the good time new ways of dealing to conflict or problems in their lives. They will start to find their own solutions and will actually apply the things they are learning. So, when you are desperately wanting your child to change, understand first then watch the magic happen! If you enjoyed this article and would like to learn more about how you can parent without the yelling and frustration, click below and find out more. Our next session starts soon! Thank you for this very useful article! We have a clear set of rules in our family. It works wonderfully for us. Choose a reward that is appealing to your child. Implement the new rule that if your child performs the desired behavior, they are given the selected reward. Implement the new rule that if your child performs the undesired behavior, they are given the punishment. I think this advice is good for the younger ones, but I feel like teenagers might be a little different. Most of the time they’re distant and attempts to connect are pretty difficult. One of the ways that I found to connect better with my teen nephew (which has also lead to us having better communication otherwise) is to “hire” him for little odd jobs around the house and pay him when he’s done. I think when he sees the value of earning a dollar and understands hard work, it helps us both see on the same level with something. Which, obviously, isn’t easy to do with a 13 yr old. 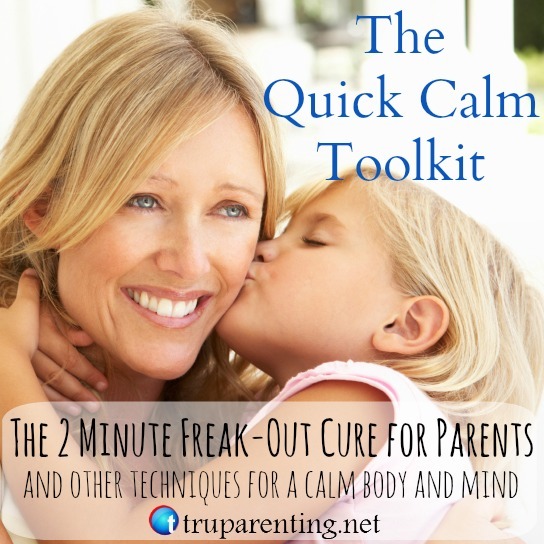 Get Your Quick Calm Toolkit FREE! 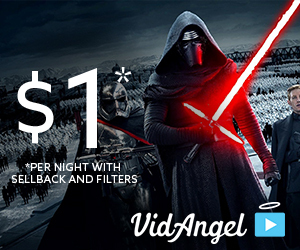 Do You and Your Kids Love Movies? Try This! Audible is a great way for busy parents to learn on the go! "Andy Smithson provided an hour long seminar to our employees titled” TRU Parenting.” What a great presentation. TRU Parenting not only applied to parents but to all of us and in all aspects of our lives. Wow, I have heard so many positive comments from our employees. We even had one of our linemen, who is a young father, stay after to continue writing down thoughts and ideas that he gained from the presentation." 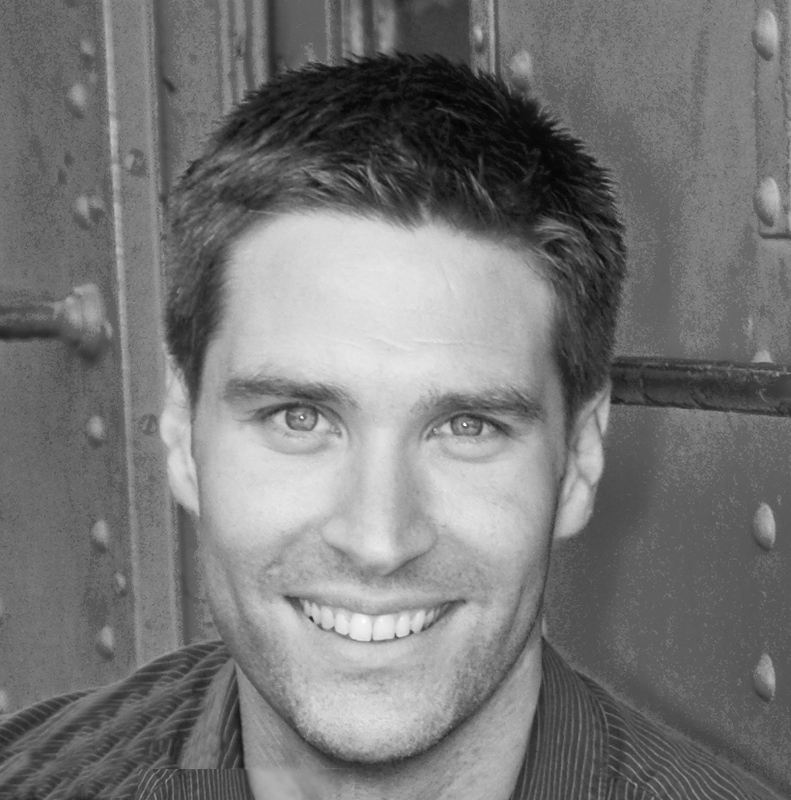 "As an instructor, Andy is on top of his game. He really connected with the class! The learning experience was always helpful and exciting!" "This was one of the best classes I have every been to! I loved how we were able to be interactive in asking questions and actively participated in the learning process." "I really enjoyed the combined approach of the many topics that were covered. The class offered many techniques that could I could use right now. I feel like I am a better parent for having participated!" "I had never really stopped and thought about some of the things I learned in TRU Parenting. It made me think. I have new expectations for my parenting. My eyes are wide open!" "This class finally taught me to be more quiet with my children and gave me the power to not overreact." "I learned what to to do instead of what not to do. I feel empowered to continue building relationships with my children even when I have to discipline them." "I really appreciated the direct help Andy offered us. He really cared about what was happening in my family!" "Since TRU Parenting, I have a stronger relationship with my children." "I feel like I can parent with love rather than anger. 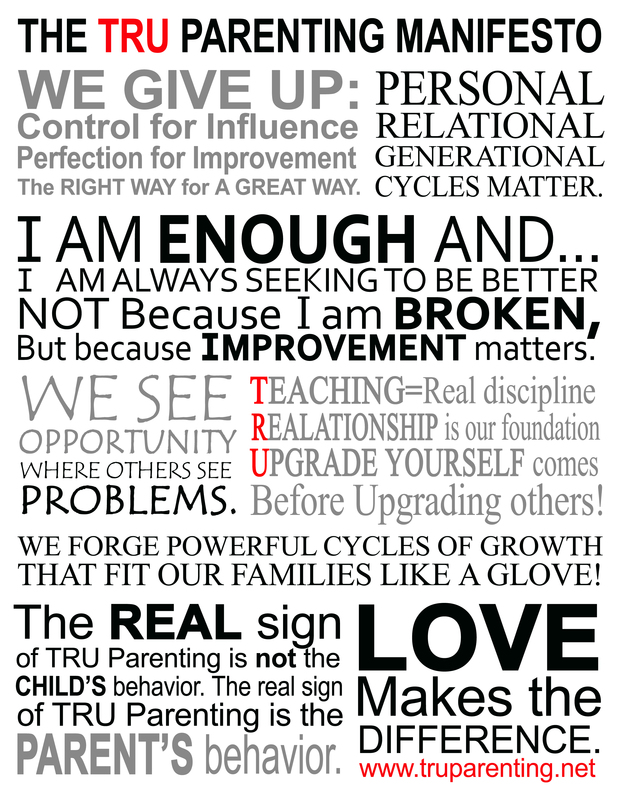 TRU Parenting gave me inspiration and tools to really parent out of love." "I'm learning how to not give up on bettering myself and building stronger relationships with my children!" "I really enjoy the little moments now." "I look forward to learning a lot from you! Thank you for the wonderful resource you are providing families! Such life-changing information!" Rachel Macy Stafford from www.handsfreemama.comWhat are people saying about our ebook? "I look forward to learning a lot from you! Thank you for the wonderful resource you are providing families! Such life-changing information!" (Rachel Macy Stafford from www.handsfreemama.com)"I look forward to learning a lot from you! Thank you for the wonderful resource you are providing families! Such life-changing information!" Ron Stefanski on One Essential Skill to Help Your Child Change “Bad” Behavior.